I love the water droplets! Great series!! Boom & Gary of the Vermilon River. Great captures and like, Karen, I love the water droplets! Delightful! Have a wonderful week!! Love the raindrops on the flower stems. Happy Thanksgiving to you and yours! Lovely fall colors! The droplet captures are beautiful. Wonderful series, have a happy week! 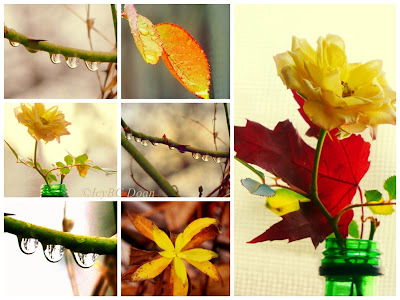 Icy, these photos are exquisite., Have a wonderful Thanksgiving with your family and friends. Happy Thanksgiving, Icy! I missed looking through your beautiful photos.